I am always happy to see beautiful Harry Potter creations once in a while. Despite all the sets, it seams to me that there aren’t much of HP creations these days. 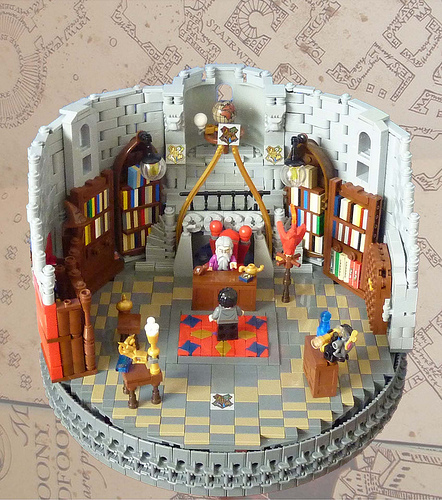 This Dumbeldore’s oval office build by Robuko was a real treat. I love the frame built using technic threads, bookcases and the walls. Check out the floor in this another set-up of the same creation.